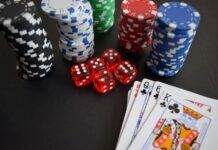 A total of 2,183 entries were made in the 2017 World Championship of Online Poker $5,200 no-limit hold’em main event on Poker Stars. The massive turnout saw the $10,000,000 guarantee easily surpassed, with a final prize pool of $10,915,000 awarded to the top 278 finishers. Nobody earned more than eventual champion Steven “SvZff” van Zadelhoff, who took home $1,624,502 after emerging victorious. At the time of this discussion, van Zadelhoff was not even the chip leader, although he was essentially tied for the lead with ‘joshuah333’. Rocha was eliminated in third place for $848,015.82 when he ran ASpade Suit4Club Suit into van Zadelhoff’s ADiamond SuitKSpade Suit. After van Zadelhoff’s hand held up he took more than a 2-to-1 chip lead into heads-up play with ‘joshuah333’. The final showdown lasted only a few minutes. But the time the final hand arose van Zadelhoff had increased his lead to more than a 9-to-1 advantage. ‘joshuah333’ moved all-in from the button for with the AClub Suit2Club Suit and van Zadelhoff called with the AHeart SuitJClub Suit. 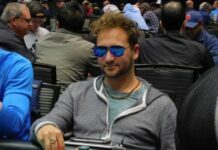 The board ran out JDiamond Suit7Club Suit5Heart SuitKSpade Suit8Spade Suit and van Zadelhoff secured the pot and the title, sending ‘joshuah333’ to the virtual rail with $1,173,712.87. Joe Ingram to Have ACR CEO on Podcast to Discuss Bot Problem: Will They Bury Hatchet? 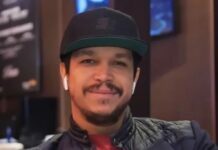 Darryll Fish Wins First WPT Lucky Hearts Poker Open Championship!